Want a free build from Scarlet Creative? Hey everyone! Scarlet Creative needs your vote! To get the mesh party going, I am going to ask all you lovely readers and customers to vote for the first house you would want in Mesh. The one with the most votes wins as the first build. All those that vote as a thank you will get the prefab for free even if that wasn’t the original one you purchased (or even if you never have purchased) as a thank you from Scarlet Creative for supporting original creators making original mesh for use in Second Life. All the houses are fully created from scratch, no mesh templates, no third party products. All from the ground up, piece by piece with love to hopefully make a little mesh goodie you can call home. The Survey will be open until 5th June and results published here on 6th June. 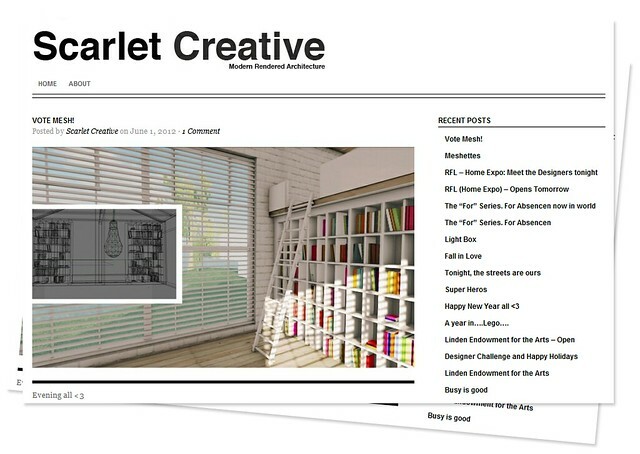 Read the full entry on Scarlet Creative & vote!